How should a single task in linear process be presented to a mobile user? I am torn on whether or not I should display an overview of all the steps to the user, or if I can simply present the single task with no context to the user. It's not necessary to display an overview of the steps as you have depicted. The mobile user has established context by first accessing the app, which establishes a general mindset within the user. 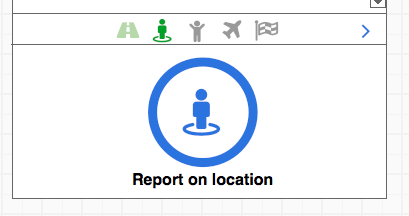 Secondly, the user has to navigate or find their way to the screen or call to action that allows them to achieve a task (such as Reporting on Location). Not the answer you're looking for? Browse other questions tagged gui-design ios task-flow or ask your own question. Completing a process in linear steps - what should happen if a user changes one of the previously entered steps? Is task-based the same as user-centric? Back and forth between apps or user typing? Should my Task Modal comments be threaded for reply comments or single inline ordered by DateTime? Adding and deleteing from saved addresses. How would a user know that swiping means delete?